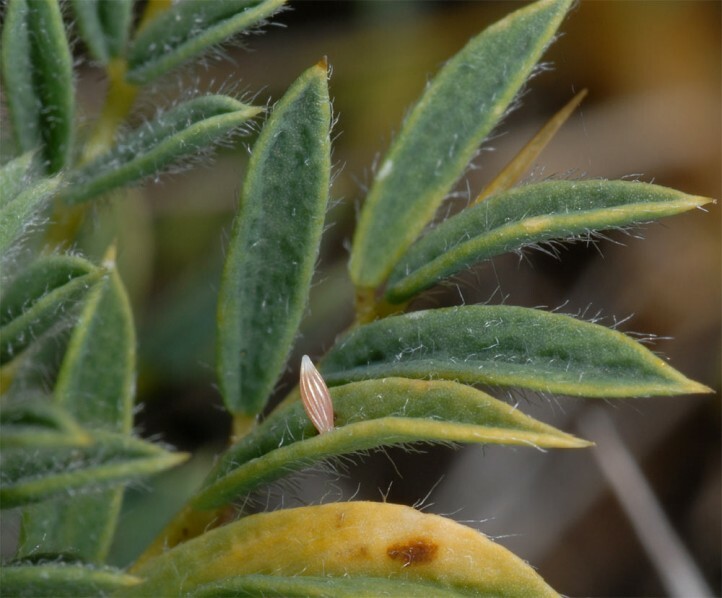 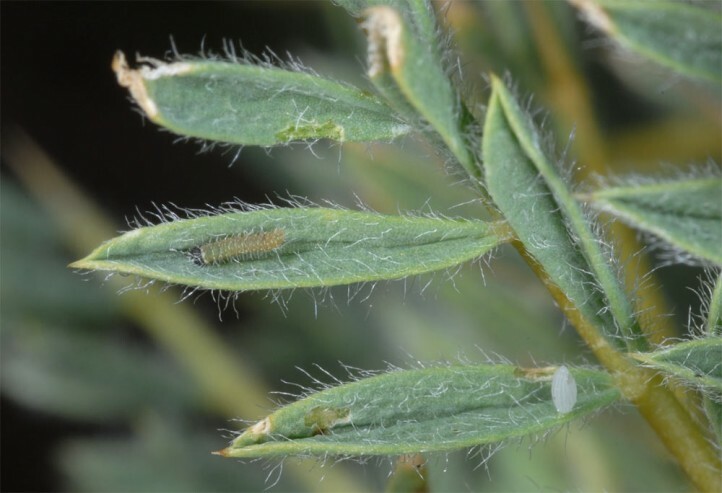 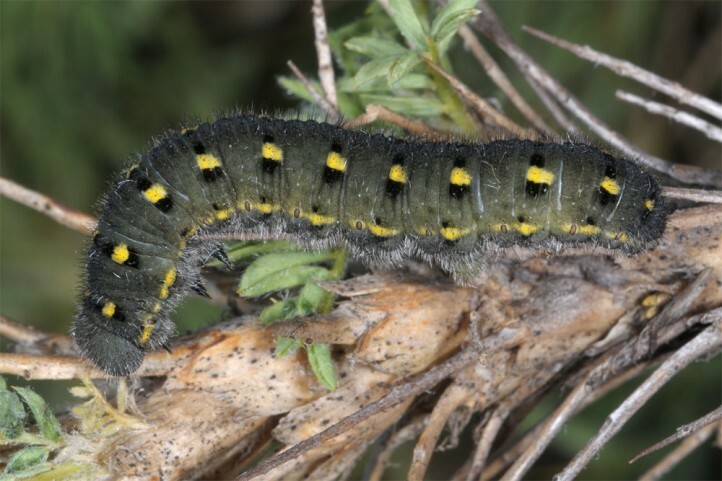 The larva feeds on thorny dwarf shrubs of Astragalus, e.g. 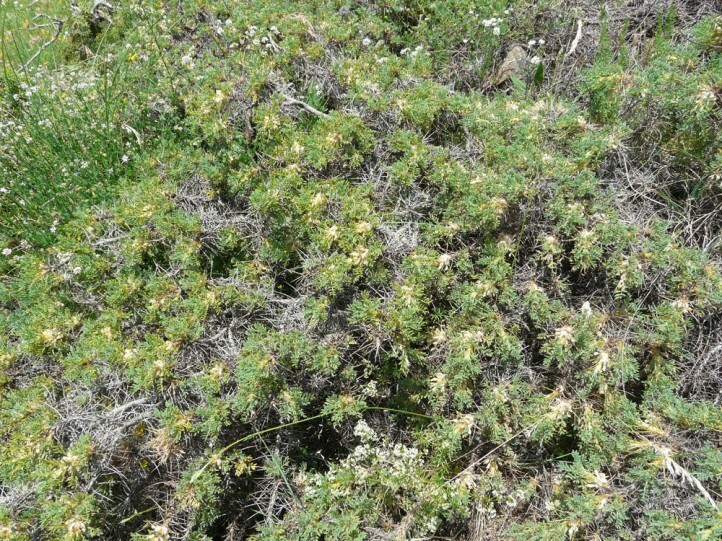 Astragalus creticus rumelicus or A. cyllenea in Greece. 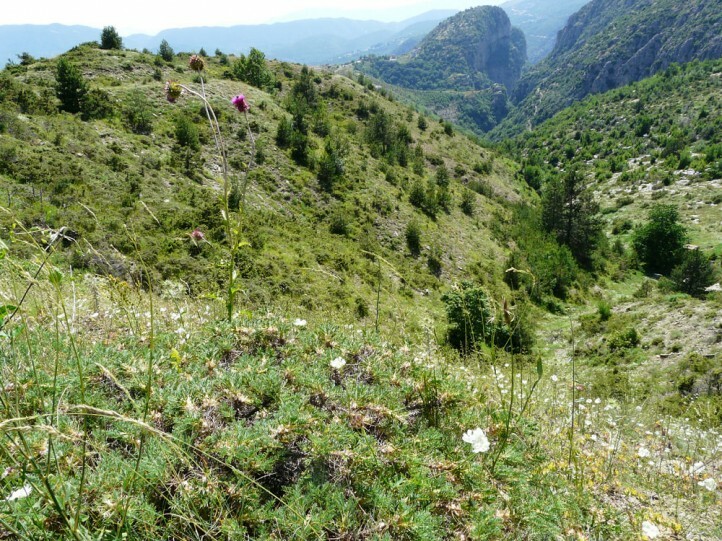 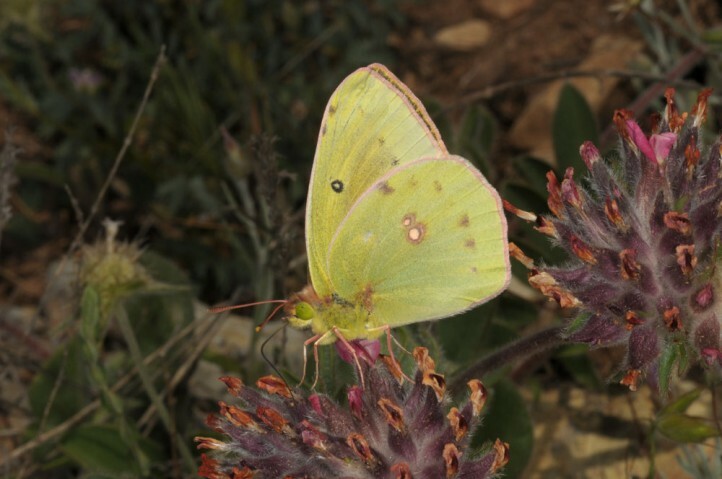 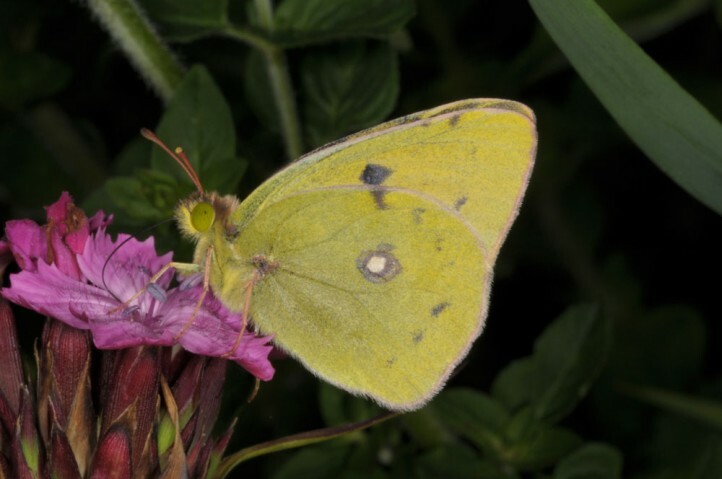 Colias aurorina inhabits mountain slopes and dry grasslands and pastures on limestone between 500 and 2000m asl, provided the host plants occur. 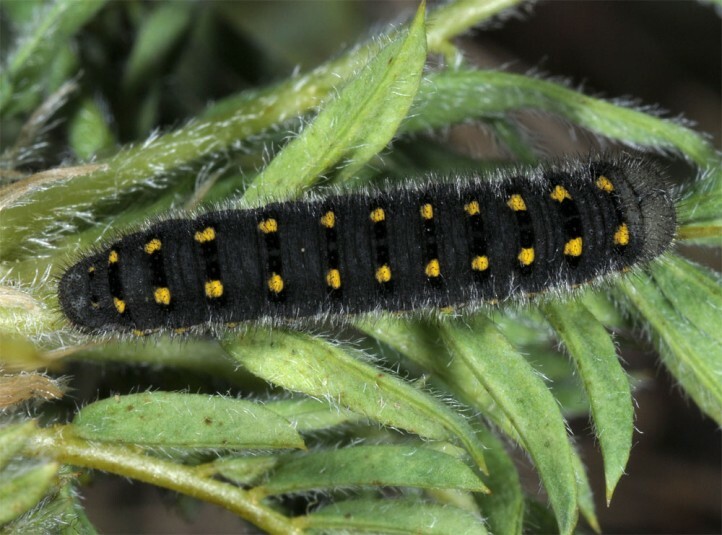 The adults occur between May and July, according to altitude. 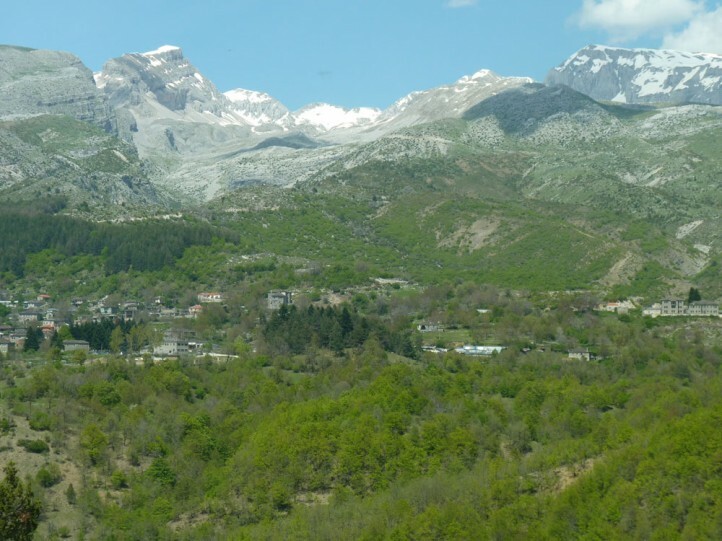 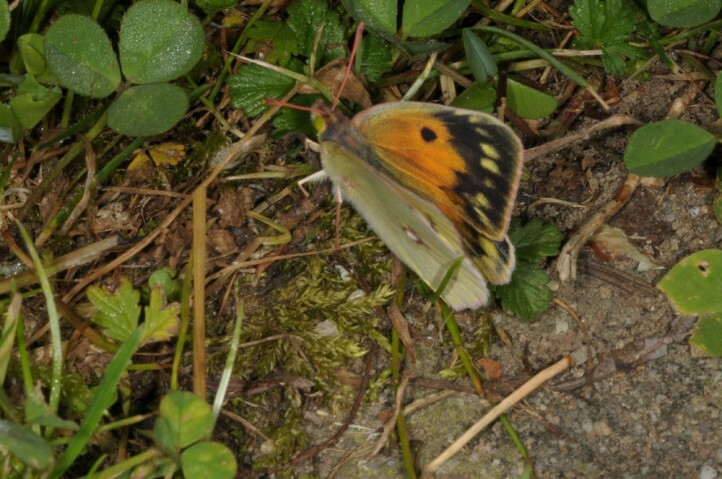 I observed them in Northern Greece on mount Tymfi in 1500m asl in late June 2013. 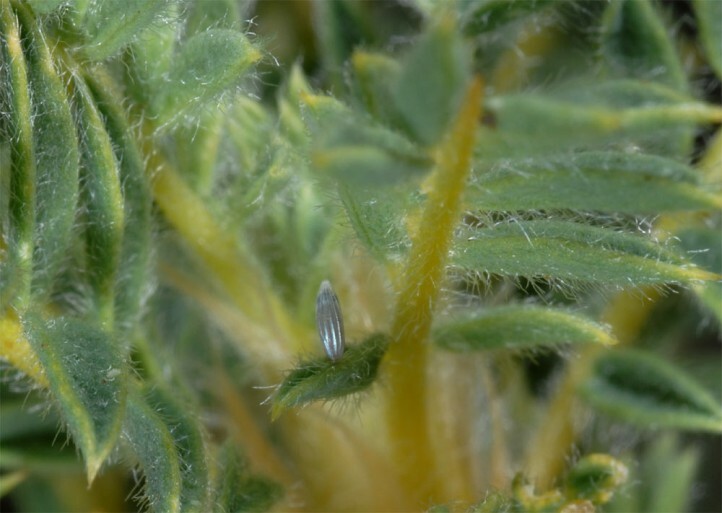 Oviposition takes place on the upper side of the leaflets. 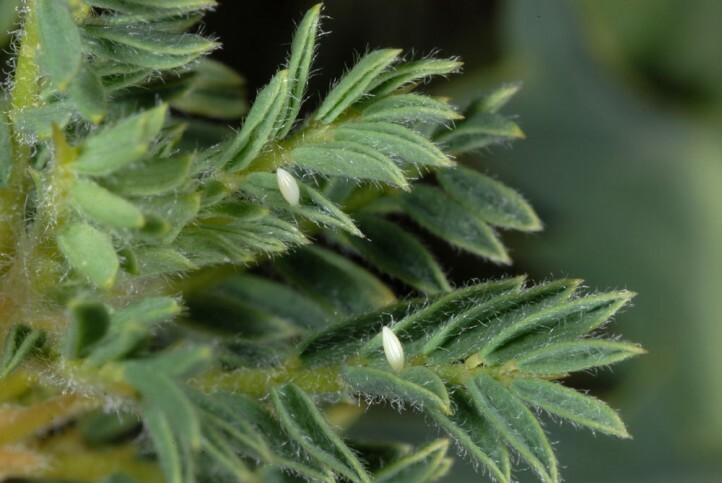 I repeatedly found the eggs together with those of Zygaena sedi at Astragalus creticus rumelicus. 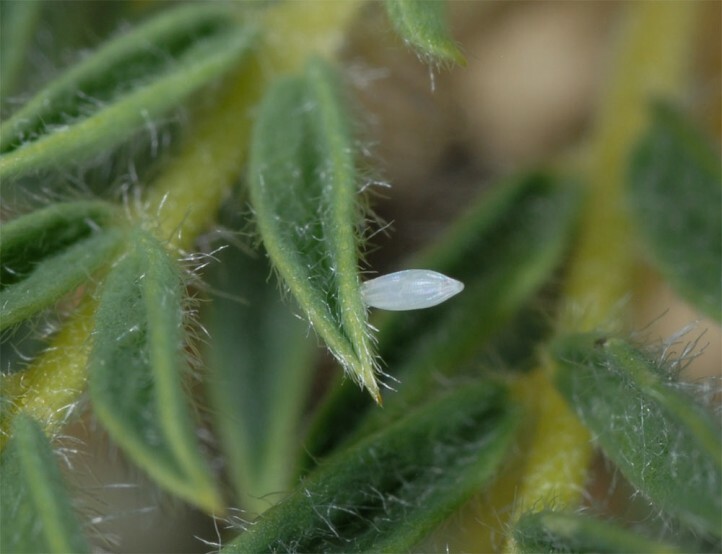 At first, the eggs are whitish yellow. 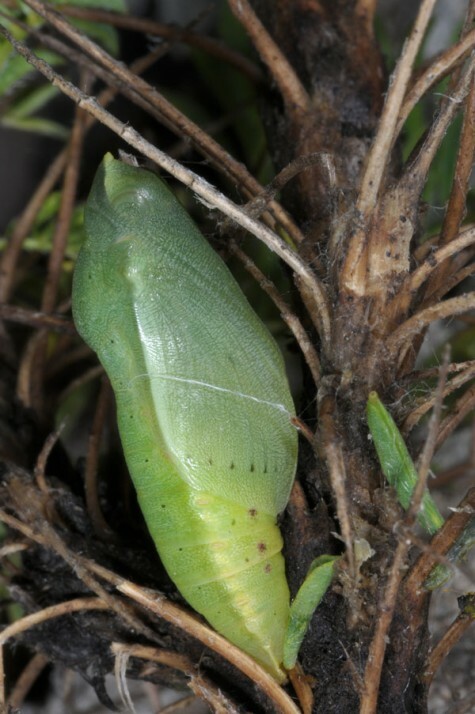 After a few days they get orange and prior to hatching grayish black. 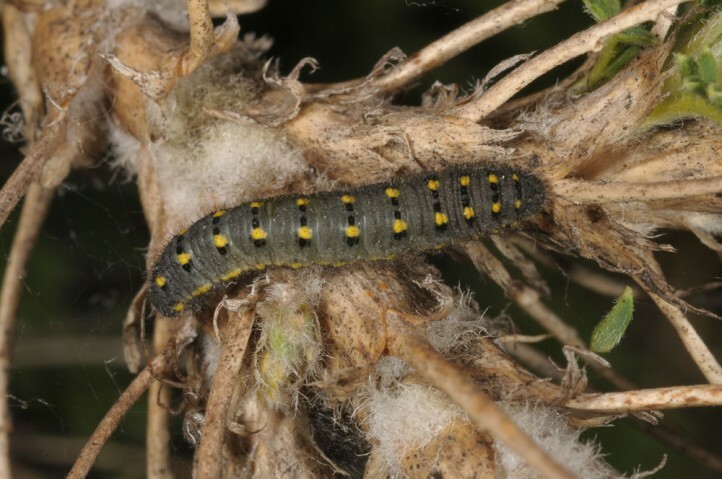 I observed the L1 larva several times on the leaflet upper side. 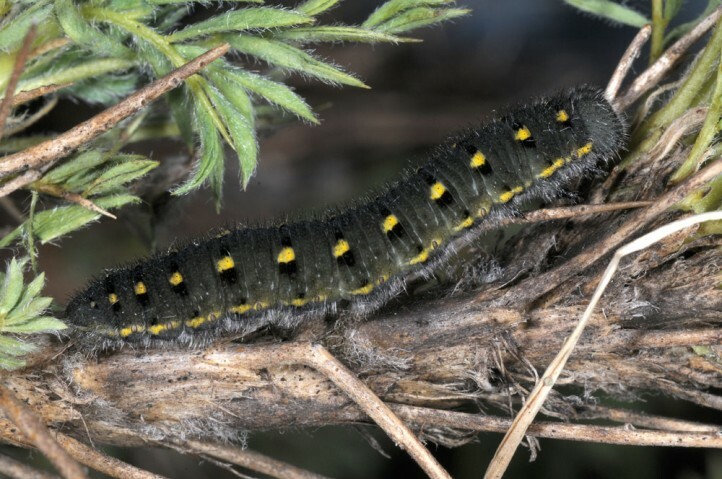 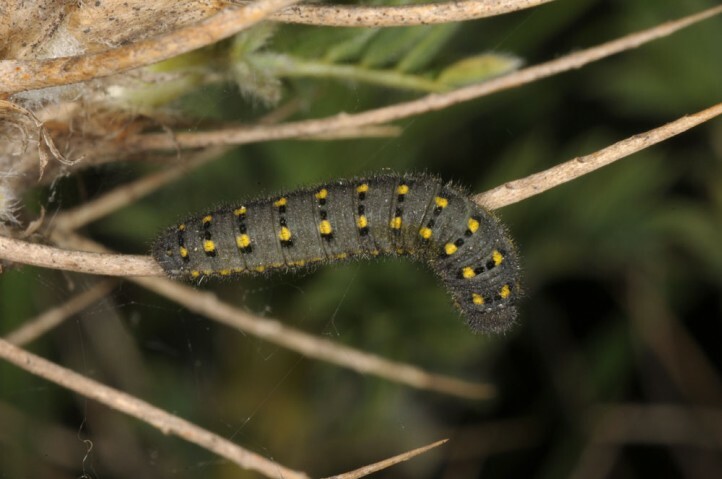 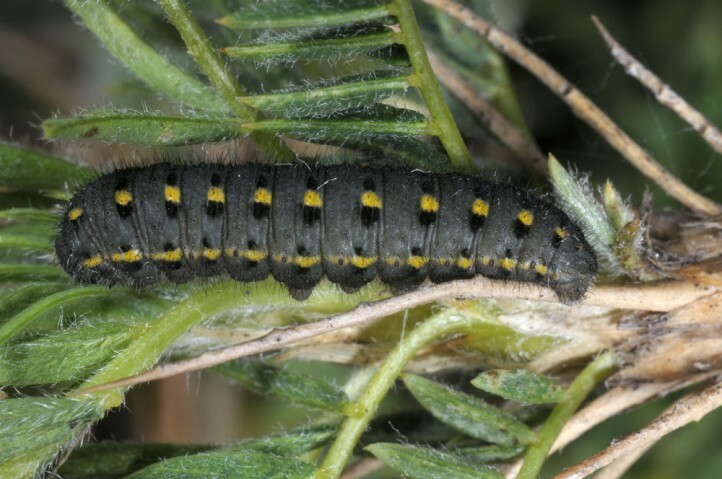 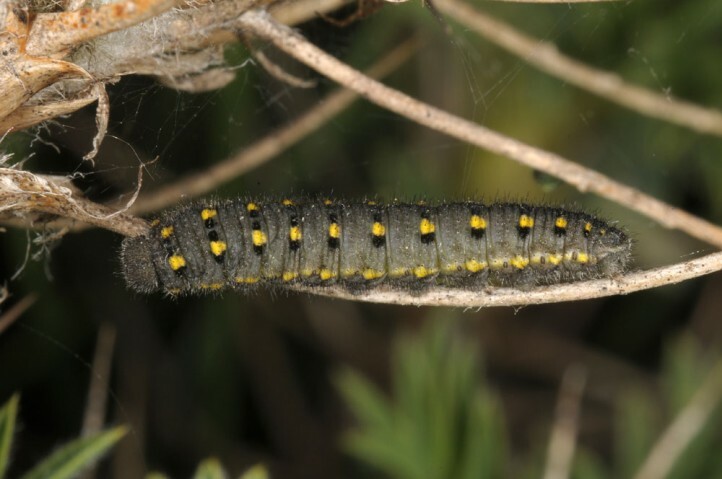 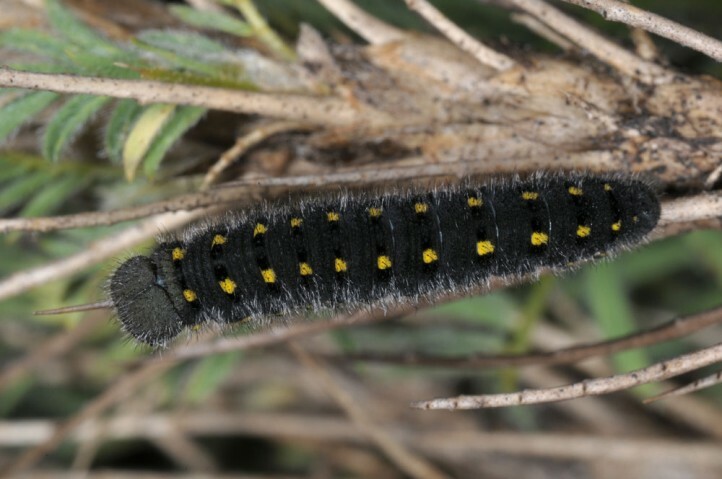 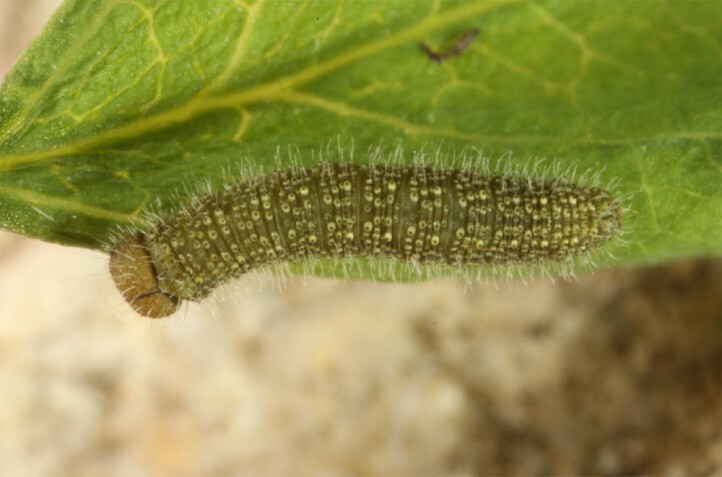 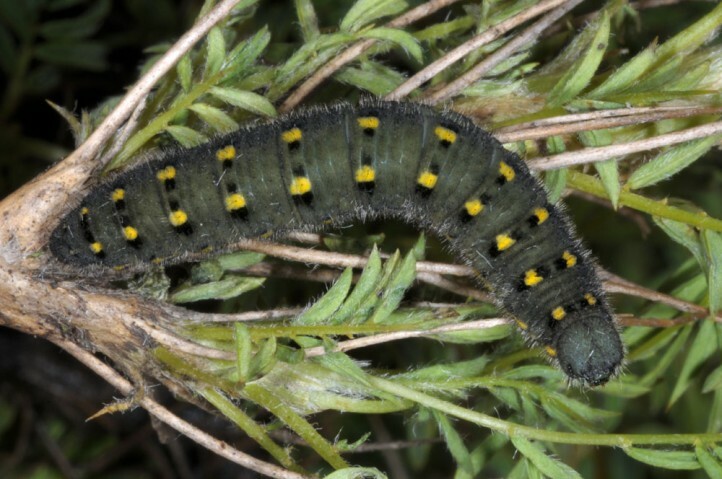 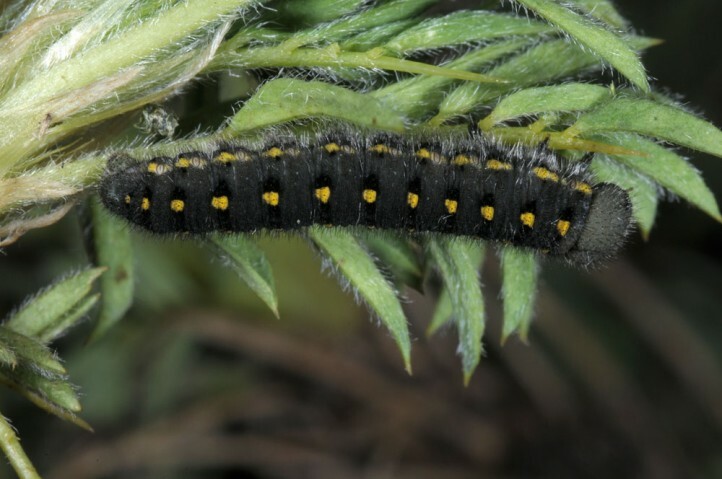 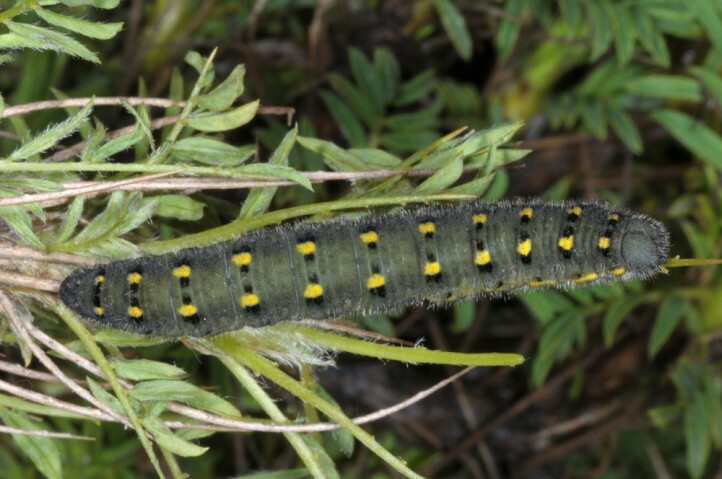 The still small larva hibernates after the second moult and is mature in April or May. 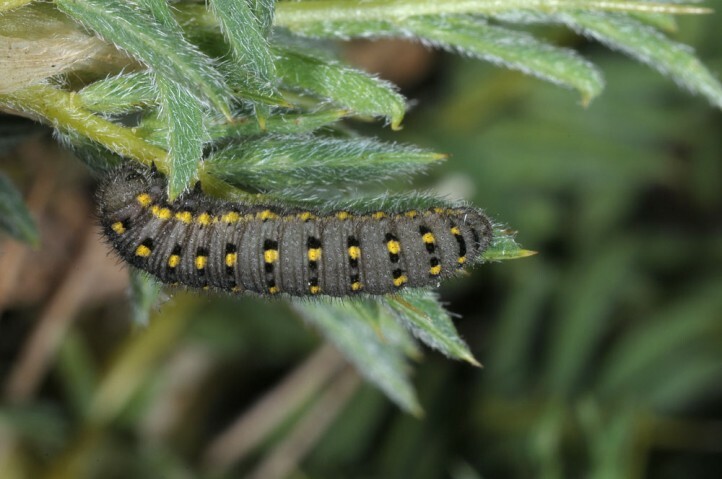 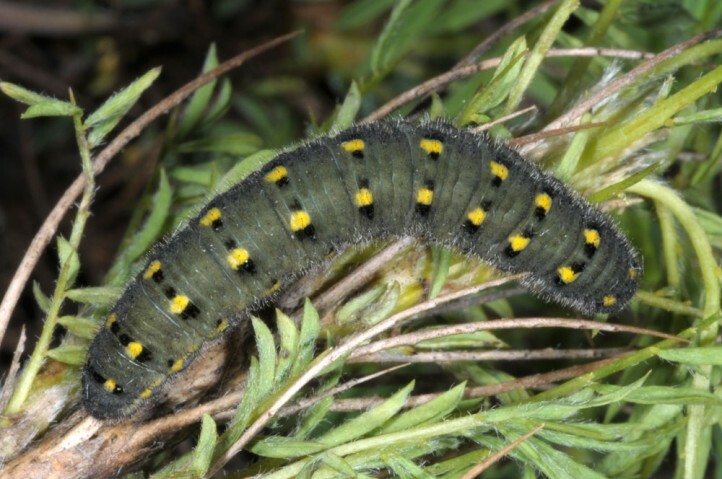 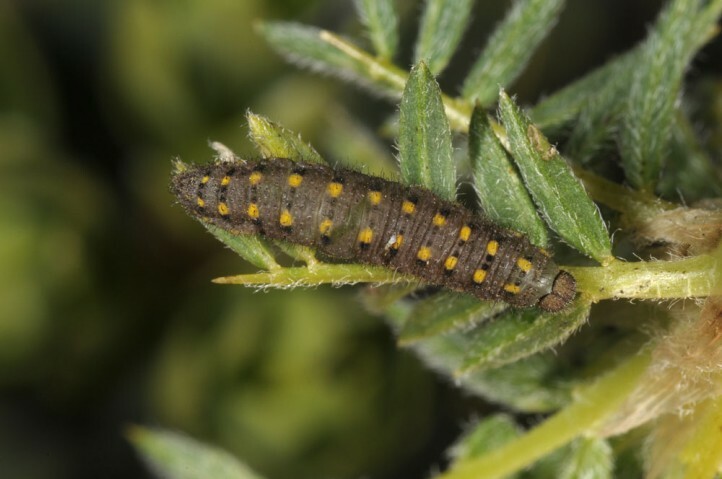 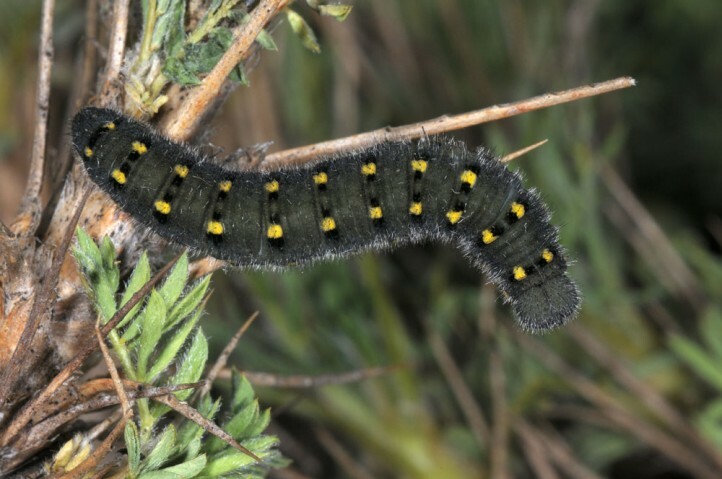 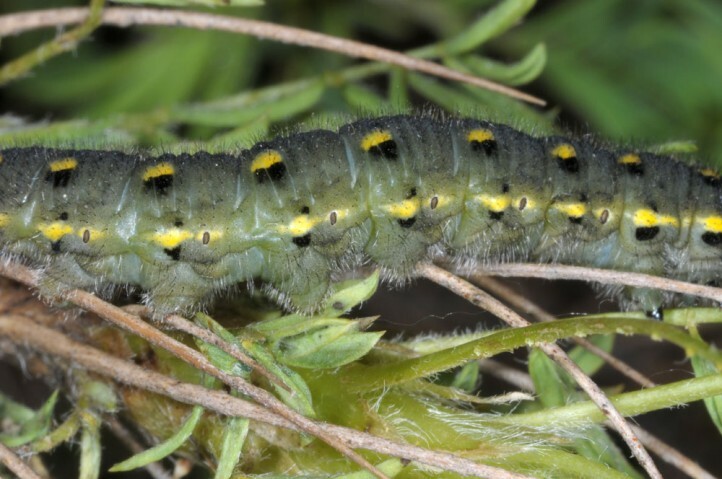 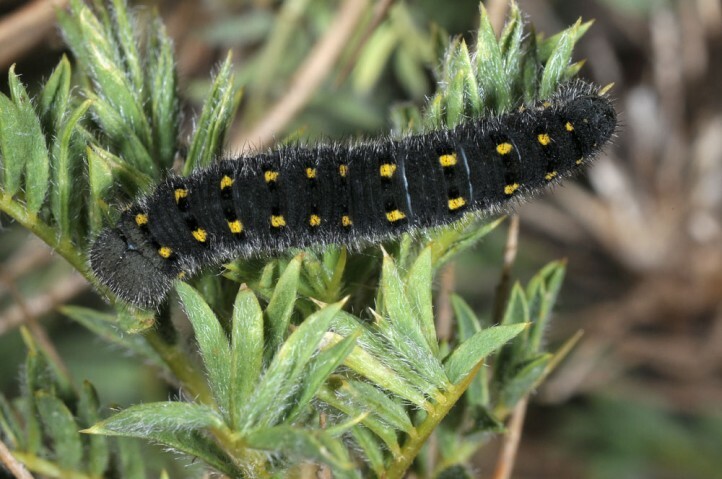 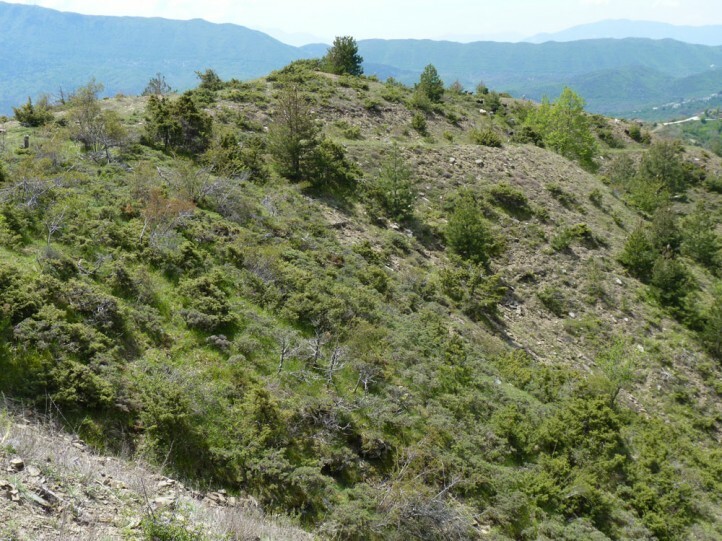 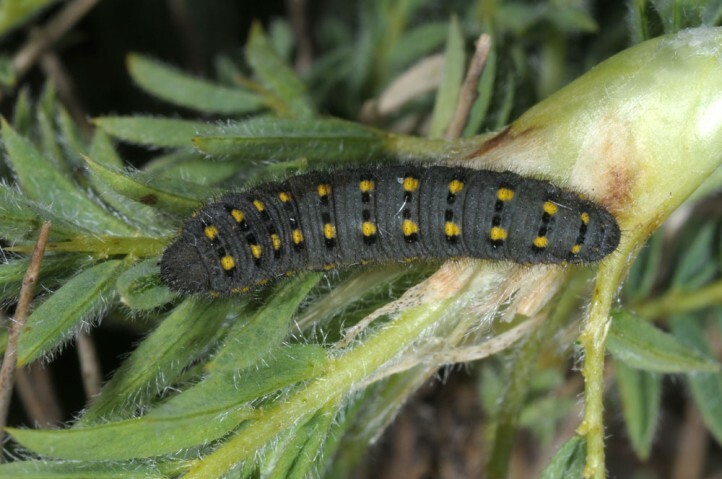 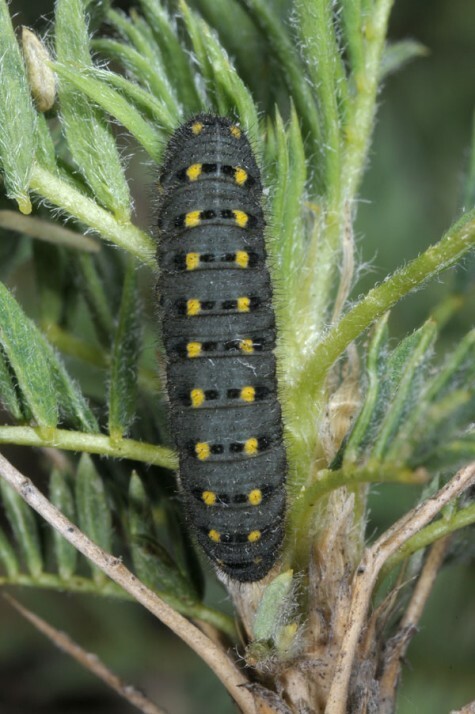 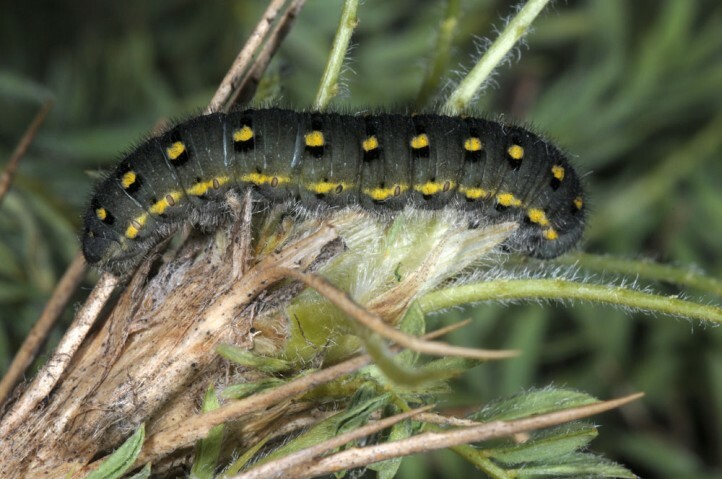 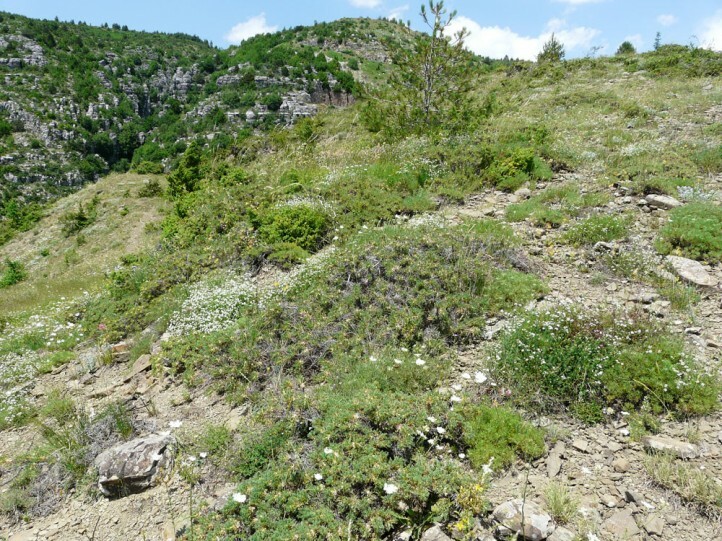 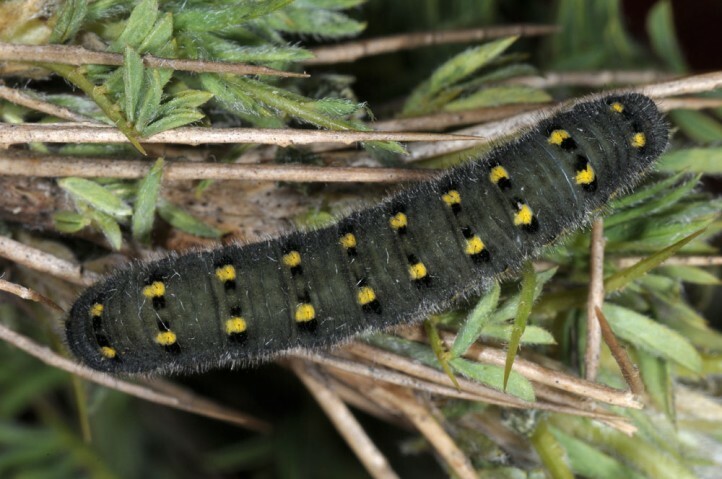 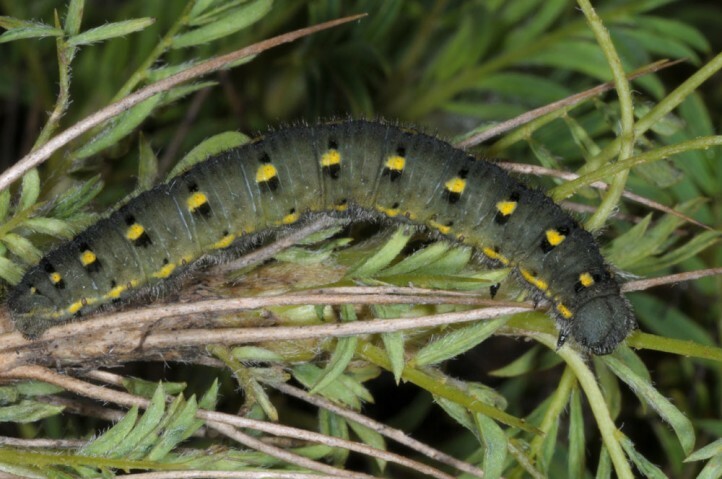 I found larvae in antepenultimate and penultimate instars in Greek Tymfi mountains (Pindos range) in mid-May 2014. 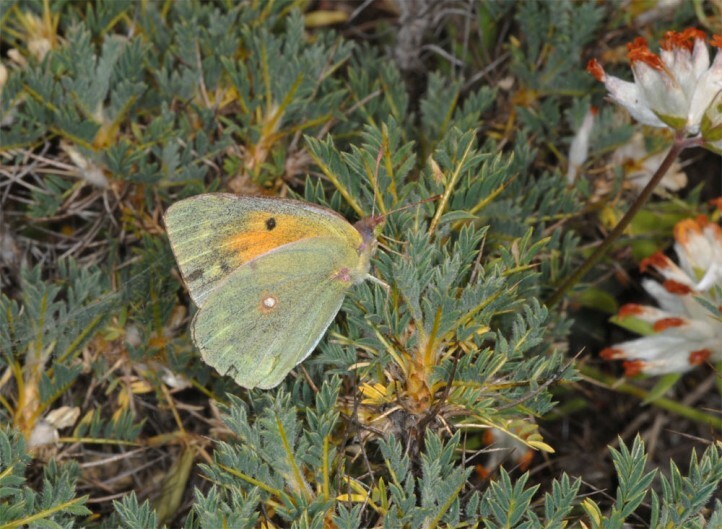 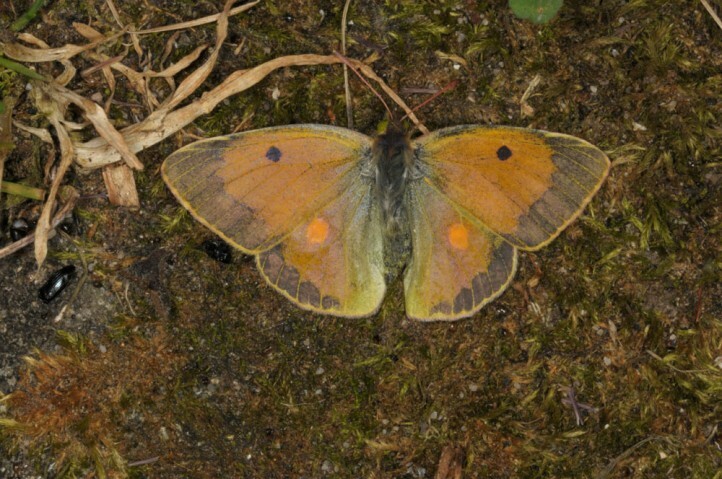 Colias aurorina occurs in Greece in the mountains of the northwestern mainland. 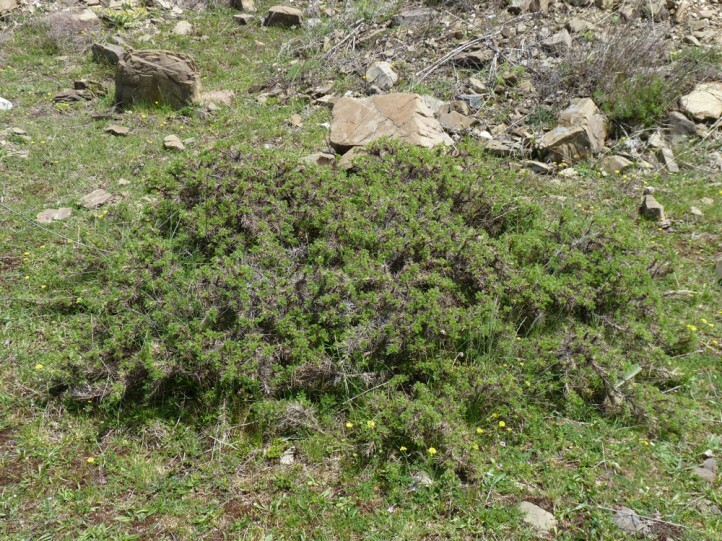 It may be also found in southern Albania. 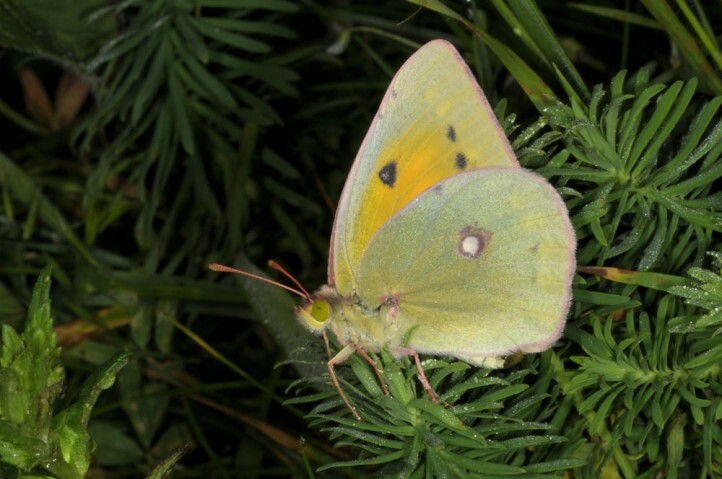 Besides Colias aurorina is observed in Asia Minor, in the Caucasus mountains and those of the Near and Middle East (from Lebanon to Iran).